All the features of the SmartSource Professional series checks scanners, plus built-in network capabilities! 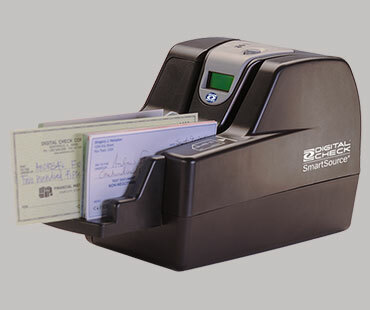 The SmartSource Expert check scanner series, with its built-in network interface, allows you to process deposits without the use of a local PC. Check scanners with on-board processing allow you to operate the device without being tethered to a local PC. The SmartSource Expert series comes with the same set of features available on our popular Professional check scanner series. Standard features include an auto-feeder with an open feeder design for improved productivity, Magnetic Ink Character recognition (MICR) reader, and image cameras.